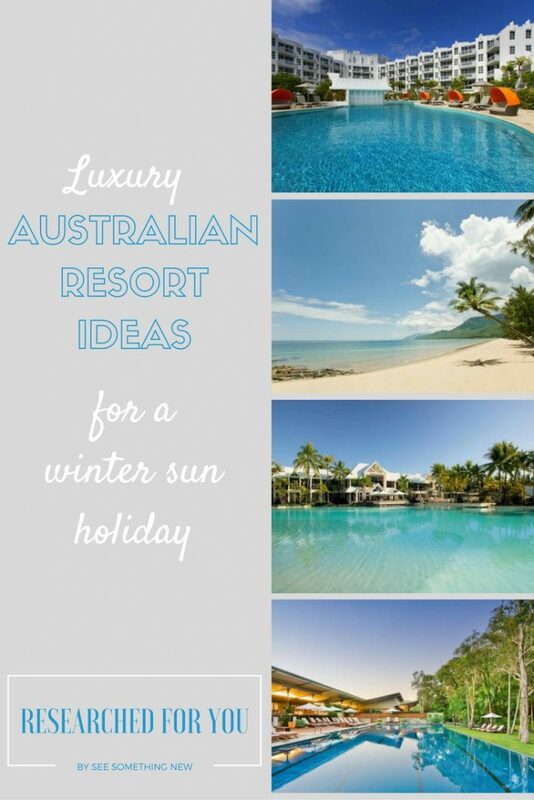 Has southern Australia’s winter already got you dreaming of palm trees, sunshine and poolside beverages? 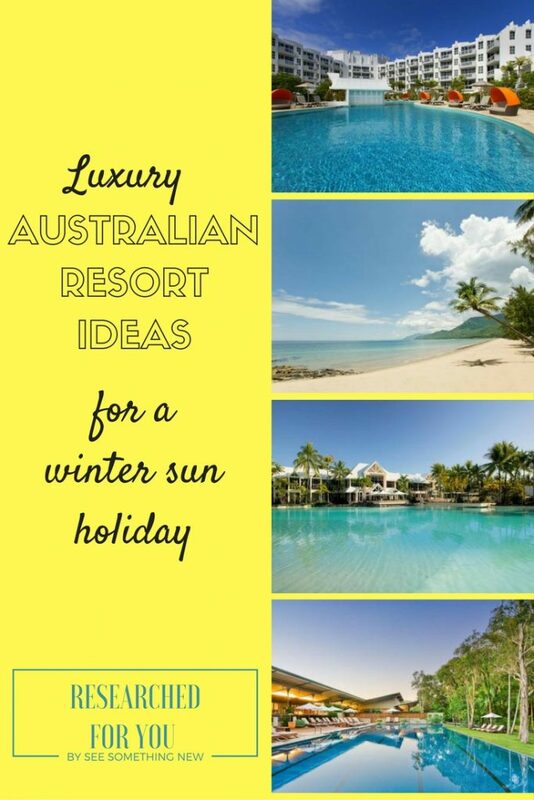 Then one of these luxury winter sun holidays is for you! If you’re looking for a luxury resort to travel to in June, July or August here is a collection of some of the best resorts in warm places that other people love. From swim up bars to adult only pools these luxury resorts all offer something special for under $500 a night. Why stay at a luxury Australian Resort? Because its fun, you switch off, relax properly and feel like you have escaped the real world! Luxury resorts in Australia are generally the kind of resorts that have so many facilities you never have to leave. 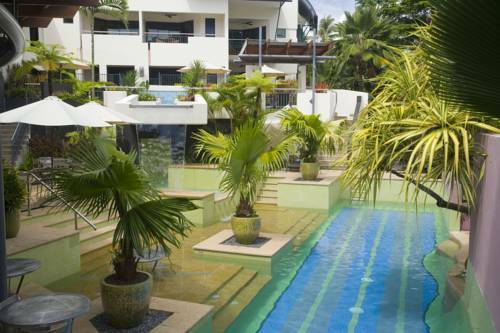 Laze by the pool, wander to a restaurant and maybe venture out for an activity or two. The service is usually excellent with a relaxed Australian vibe that comes with a tropical destination. Many of Australia’s luxury resorts are on the doorstep of our most iconic destinations like beaches, reefs or the rainforest. This means you are usually rewarded with beautiful places if you can drag yourself away from the pool. However since you on holidays, I agree that working your way through the cocktail menu is a totally justifiable ‘activity’ when you just want to relax! If you want a winter sun holiday, generally the further north you go the hotter it will be! It’s the only resort on Cable Beach itself so you can watch as many sunsets as you like drink in hand. It has a separate adults only pool (sadly not swim up but they make a mean cocktail) however if your planning on take the family there’s a fun family friendly pool as well. There’s so many restaurants in the resort itself you can eat something new each night for weeks. It’s also one of my favourite resorts in Australia! Directly through the property, via an agent or hold it in now with free cancellation and no prepayment through booking.com for most available dates. What other people think: Its 4.5 stars and has a near perfect rating on trip advisor. Qantas and Virgin fly via Perth and Qantas offers direct flights from the east coast during the dry season. Aim for flights that land just before check in time so you can make the most of your time in Broome. The resort offers a free shuttle that meets all flights. Its all about the pools at this highly rated and elegant resort, with huge lagoon pools to swim around in or even the option to upgrade to a villa with your own private pool. How to Book: Directly through the property, via an agent or hold it in now with free cancellation and no prepayment through booking.com for most available dates. 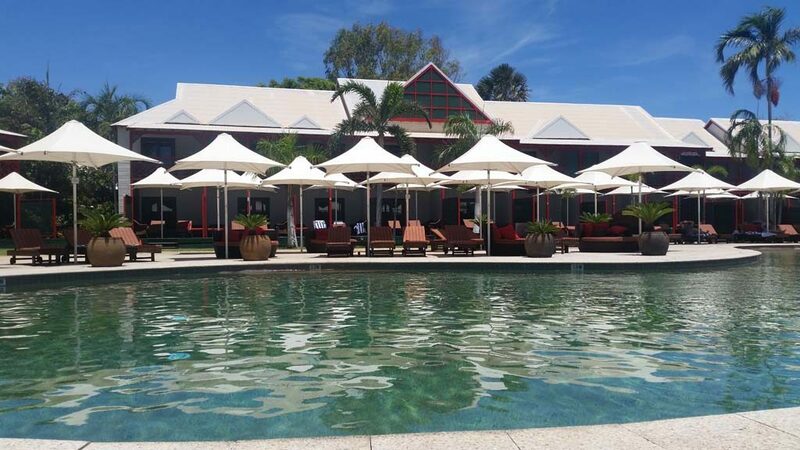 What other people think: Its one of the best rated Port Douglas resorts across the board with a ‘Fabulous’ 8.6/10 on booking.com (287 reviews) and 4.5/5 on trip advisor from a staggering 1670 reviews! What other people think: Its rated ‘Very Good’ 8.3/10 (287 reviews) on booking.com and was one of their most booked properties in 2016. Trip advisor reviews give the property 4 stars (from 257 reviews). 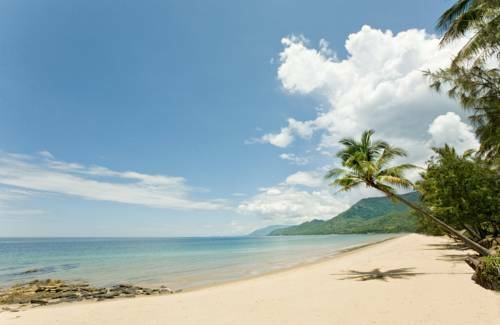 From Melbourne & Sydney: Fly directly to Cairns with Qantas, Virgin, Jetstar daily and Tiger most days. From Adelaide: you can fly direct with Jetstar or via Melbourne, Brisbane or Sydney with Qantas and Virgin. From Perth: Direct flights some days with Jetstar or via Alice Springs with Qantas. Getting from the airport to the hotel: Pre-book a shuttle transfer to start your holiday stress free (a private car or even a limousine may be cheaper than a shuttle for groups) or pick up a hire car to travel the 1 hour to the resort. 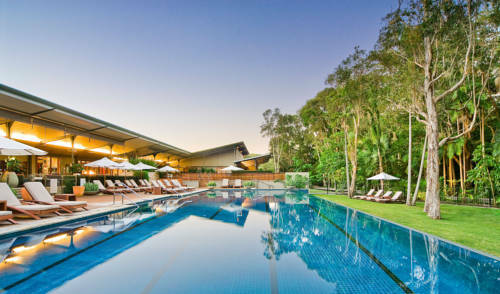 This beautiful resort is situated on 45 acres of bush with a luxury spa, golf a few minutes away away and just 10 minutes drive to Byron Bay. This means its the perfect resort for single or couples weekend away, a luxury girls or boys trip or for a small group with different interest. Split up to shop and spa or golf the day away then meet back up at the end of the day dinner and wine by the pool! 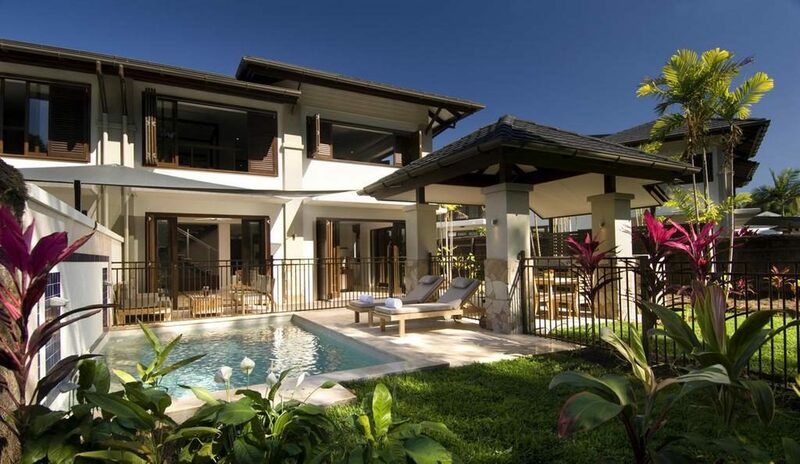 What other people think: A Byron Bay favourite this resort is rated ‘Superb’ 9.1 on booking.com and 4.5/5 on trip advisor from over 1000 reviews. In fact its just been awarded at Trip Advisor Travellers Choice badge for 2017! Fly directly to the Goldcoast (1 hour north of the resort) from Melbourne & Sydney with all airlines and even into Ballina (just 25 minutes from the resort) with Jetstar a few days a week. Fly directly from Adelaide with Virgin or Jetstar or from Perth with Jetstar some days of the week and non flights are available daily. From the airport you will need to have a pro-booked shuttle or pick up a rental car. Popular with solo travellers and couples this tranquil beach resort is a place to immerse yourself in nature the stylish way. Wander on the beach, float around in natural swimming pools and watch wildlife around the resort or even join a guided nature walk. When you are all worn out from being too relaxed (ok I know there’s no such thing) you can retire to the restaurant with stunning views out over the tree tops and the sparkling ocean below. Rated ‘Superb’ 9.1/10 on booking.com (231 reviews) people love the beach location and the staff. Trip advisor is equally as glowing with a 4.5/5 rating from 1374 reviews, they even have a certificate of excellency for consistently great reviews! As with Port Douglas your closest city to fly to is Cairns. For a relaxing start to your holiday always book a transfer or rental car so you know how you are getting to your accommodation. Eco beach feels very far from everywhere and while it sort of is on a grand scale, its actually only an hour and a half from Broome. 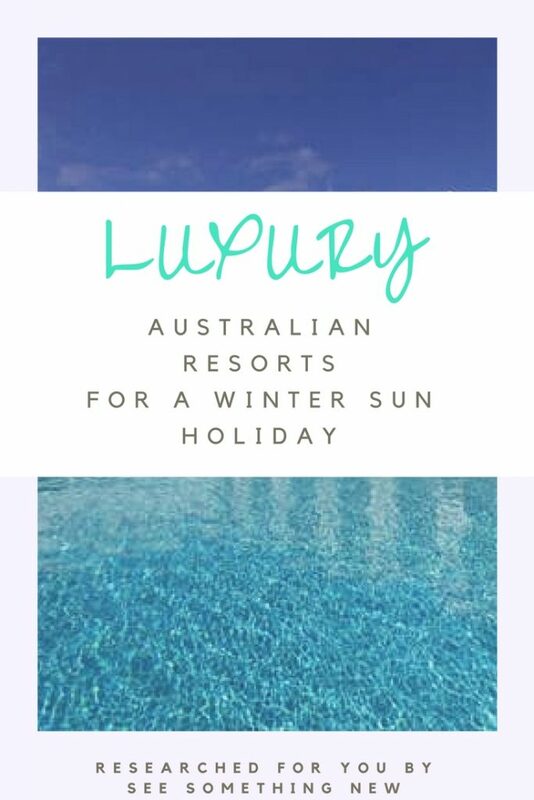 It has a small but beautiful infinity pool and adjacent restaurant so you can float or sit around in enjoy one of the best beach views in Australia! For those that want a bit more action there is plenty to do with walking, fishing and kayaking. It’s rated ‘Fabulous’ 8.7/10 on booking.com and 4.5/5 on trip advisor from nearly 500 reviews. Its such a beautiful place its a rising destination for boutique weddings on the beach. 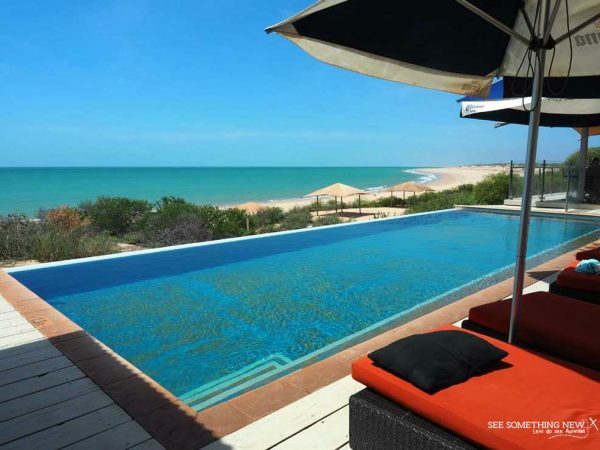 From Broome you will need to book a transfer or hire a car (try Broome Broome Car rentals who will let you take a 2wd on their dirt access road). If it’s a special occasion you may like to arrive in style by helicopter, its best to contact the resort directly to assist with this! Further reading: Check out this post on Jacks Bar & Restaurant at Eco Beach Resort. While its tricky to find true low rise luxury resorts in some towns there some very plush resort style hotels in towns around Australia. A high rise hotel with resort facilities, the Marriott gold coast has one of the most epic hotel pools in Australia! Its a huge saltwater lagoon pool with fish swimming around! 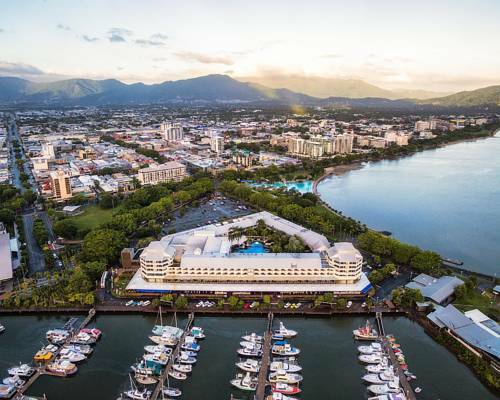 Walking distance from everything in Cairns you get Shangri-La service with a strong twist of the relaxed cairns vibe. Upgrade to a Horizon club room for a lovely nautical harbour view and to experience free breakfast and drinks in the horizon Club Lounge which is exclusive to guests in these rooms. 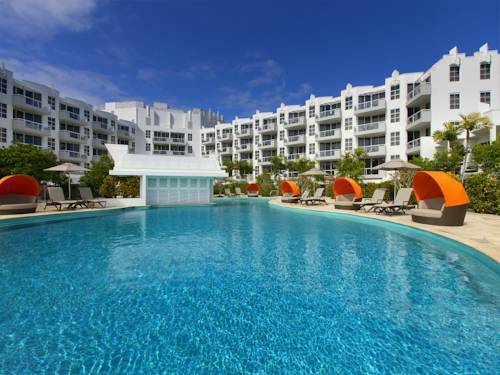 Stay right in the heart of Noosa on Hastings street with a huge lagoon pool! This much loved Noosa favourite (previously a Sheraton) was renovated in 2013 and recently rebranded as a luxury Sofitel Resort. The property has a fresh tropical vibe to the furnishings and a huge resort style lagoon pool complete with plush shaded private poolside couches and a swim up bar! The best part is it backs right on Hastings Street so you have your pick of places for coffee and food and it’s just a short stroll from the beach if you can drag yourself away from the pool. What do other people think: Its rated Superb 9/10 on booking.com (883 reviews) and 4.5/5 on trip advisor (874 reviews) with a current certificate of excellence. While not technically a resort this 4.5 star fun hotel offers plenty of pool and spa space to hop around in and best of all child free for those who just want to escape. 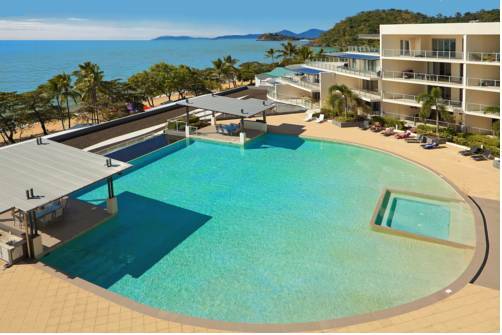 Its right in the heart of Port Douglas and 20m from the beach so its no surprise this resort regularly books out in winter. Why Stay there: A lazy small town seaside feel and these luxury apartments are perfect for groups. Divide the weekly 4 bedroom apartment rate by 8 and you have a 5 star holiday for less than $500 per person! Did you find the perfect resort for a winter sun holiday? 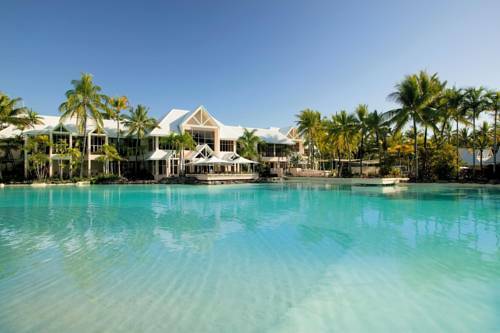 By now you should have plenty of ideas of the perfect luxury resort for you, but if you still need more information, why not post on our Australian travel forum! See Something New can help you find the answer to your question. If you found this ‘Researched for you’ article useful please consider pinning or sharing it so others can find it too!